I have very pale skin and the shade of this foundation was a perfect match. But...I am older with very dry, aging skin and the product just didn't work on me. It seemed too drying. This is the best and also difficult to find white base foundation. I often use it alone for a clean clear foundation with some blush. I'm very fair, so applying this with a brush or damp beauty sponge creates a flawless appearance. I found it once at a high priced salon in Chicago, but have not found it. at home. 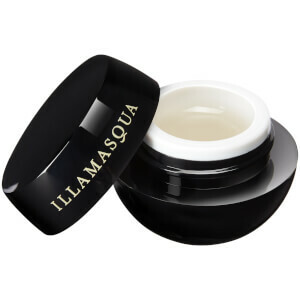 I'm so glad it's available on the internet along with other Illamasqua products. It lasts a really long time and you need very little. It's a very quick and thorough way go through the day. Thanks Skin Store!